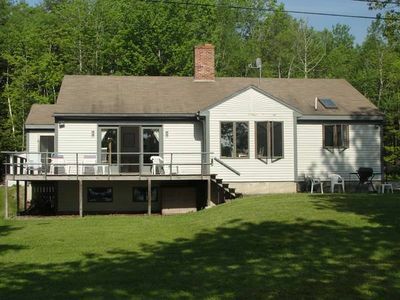 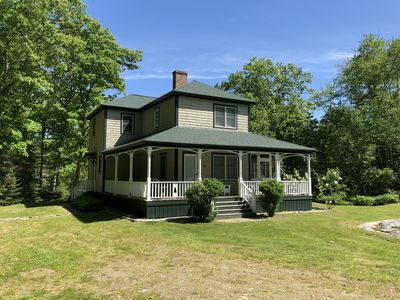 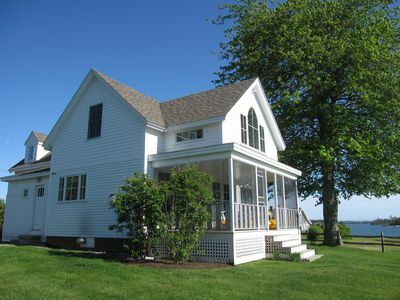 This 3 bedroom, 2 bath ocean front cottage is located at the South end of Spruce Point, just beyond the Famous Spruce Point Inn. 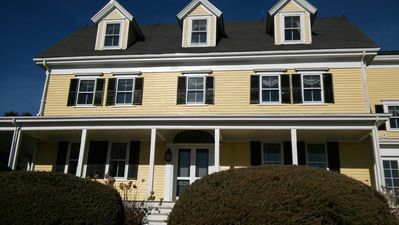 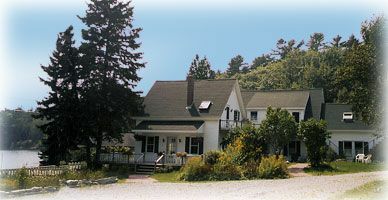 Our guests may use all the amenities of the Spruce Point Inn. 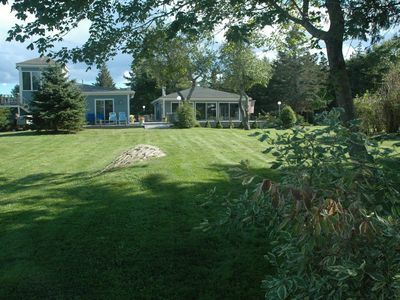 We are private and only a skip to the Inns Property. 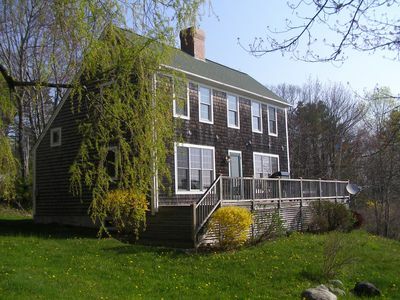 1.6 walking miles distance to the Harbor footbridge and Harbor activities. 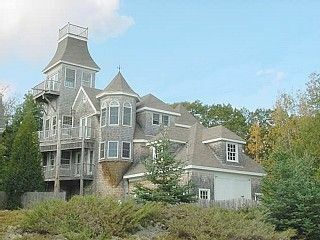 With the cottage sea wall and a 70ft. 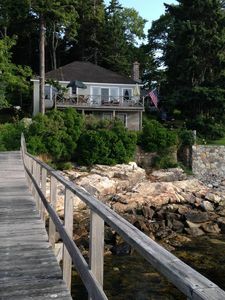 pier, the cottge affords due South exposure with views of the open ocean and Islands. 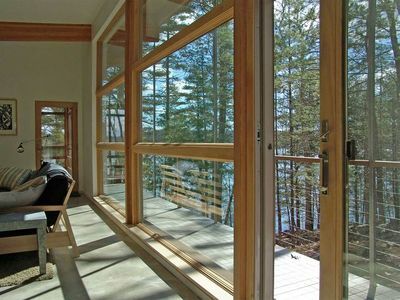 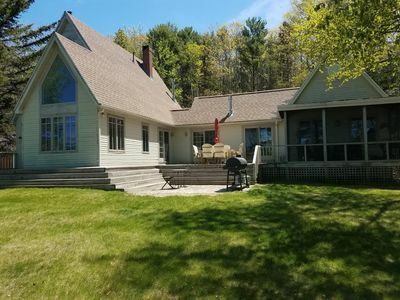 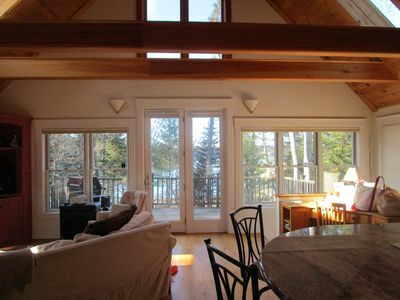 Built of native cedar and pine, including all pine interior, custom vaulted ceilings, fieldstone fireplace, open granite kitchen, dining and living room to the raised waterfront deck. 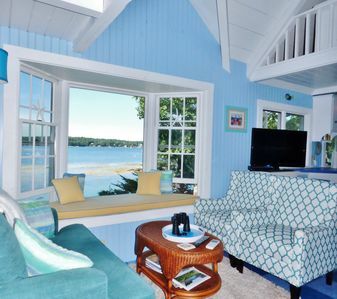 With interior views of crashing waves, one may get the sense of being on a large yacht. 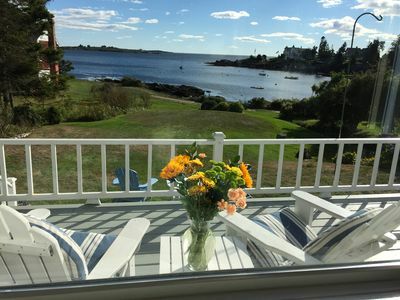 Tucked under spruce trees with lobster boats working and the distant sound of an occasional fog horn, (3 lighthouses in area) one feels the charm of this Down Maine cottage. 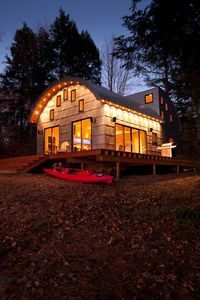 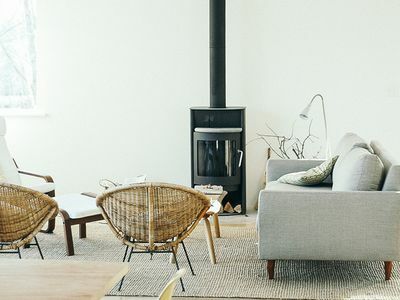 This cottage is all the above and more. 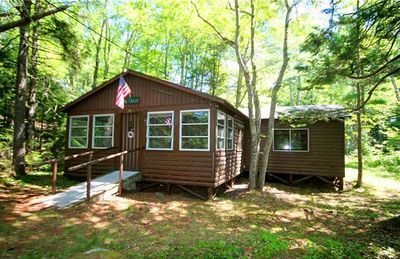 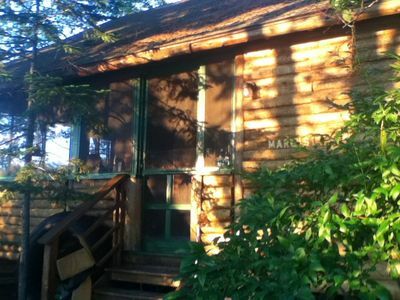 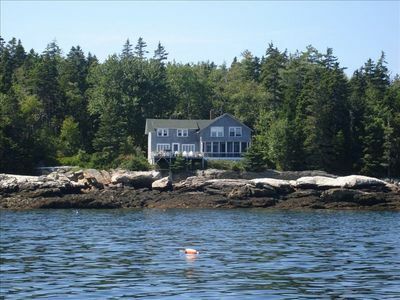 Maine Waterfront Cottage With Deep Water Dock! 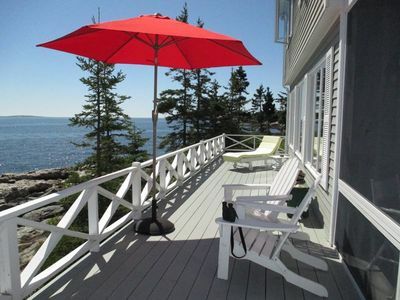 SeaGlass Cottage: Magical, Private Oceanfront Retreat in E. Boothbay! 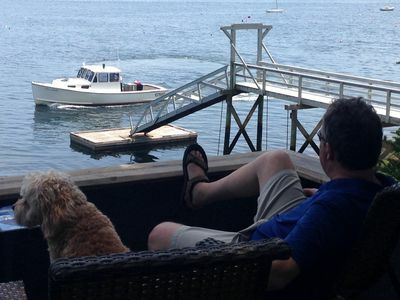 Dock & AC!